This week, we began the journey of Prayer of the most beautiful period of the Liturgical year: Great Lent. Thus, with prayer and fasting, the bride – the Church – began the uphill way to follow the beloved bridegroom – Christ – on the steep slope of Golgotha. This could be, in few words, the meaning and the purpose of the liturgical setting of Great Lent: through the divine services and ascetic practices, the Church taking by the hand each and every faithful guides them to an existential participation in the sacred passion of the Lord, carrying with Him the cross and sharing its weight and burden. If the Cross of Christ was an act of absolute self-denial, an act of thorough eradication of every seed of selfishness and absolute dedication to the mystery of otherness, then, the Church guides the faithful to the same experience through the various liturgical and ascetic practices of the Lenten period. Certainly, the theme of this homily is the liturgical aspects of Lent; however, we cannot separate the liturgical from the ascetic aspects, because in the Orthodox Tradition they are so interwoven that any separation would mutilate both! Liturgy and Ascesis go together, hand in hand, in the Orthodox Tradition! In this context, let us see the basic elements of the Liturgical practices of Great Lent. What are those peculiarities that make this period unique and distinct from the rest of the Liturgical year? *1. The celebration of the Liturgy of Saint Basil the Great every Sunday instead of the Liturgy of Saint John Chrysostom. *2. The singing of the Akathist every Friday evening. *3. The celebration of the Liturgy of the Presanctified Gifts every Wednesday and Friday evening with Vespers. *4. The celebration of Great Compline instead of the usual, “Small” Compline celebrated during the rest of the year. *5. Additional Psalter Readings in the liturgy of the Hours. *6. Enriched Hymnology with a particularly penitential character. *7. Particular Scriptural readings on the Saturday and Sunday Eucharistic celebrations. *8. Furthermore, on top of the original connections of every Sunday to a Scriptural theme, later events in the history of the Church gave her the opportunity to connect every Sunday of Lent with some additional theological or historical themes. *9. A further liturgical characteristic of Lent is the exchange of mutual forgiveness in the place of the dismissal blessing of every vespers. *10. And last but not least, we could say the most impressive characteristic of this period is the strict fast observed every weekday of Lent, leaving out Saturdays and Sundays, when a non-absolute fast is observed. The Liturgy of Saint Basil and the Akathist. 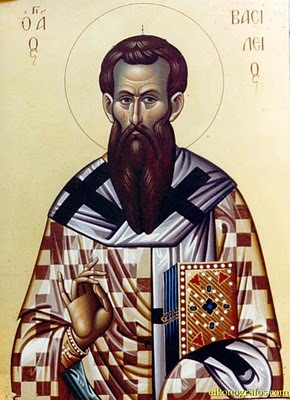 From the above list of the peculiarities of the liturgical life of Great Lent, we need to say that the first two, namely the Liturgy of Saint Basil and the Akathist are not purely Lenten idioms. In the Byzantine Church the liturgy of St. Basil was celebrated every Sunday and feast day of the whole year. It was the official Eucharistic Liturgy to be celebrated on a regular basis throughout the year. It is not clearly known why towards the end of the first quarter of the second millennium the Liturgy of Saint Basil was replaced by a liturgy attributed to Saint John Chrysostom. For the survival of celebrating Saint Basil’s liturgy during Lent, Baumstark says that it happened because of the conservative liturgical character of Lent. I would insist that two more reasons lead the Church to keep the Liturgy of Saint Basil during Lent: the intention of the Church to dedicate more time to prayer during Lent, as well as, the expressively doctrinal and educational character of the Liturgy of Saint Basil. The Church found the Lenten atmosphere of more dedicated devotion as a good opportunity to teach the faithful the dogma by making them listen to the profound and all-embracing theological elucidations of the Basilian Liturgy, especially the Anaphora. As far as the Akathist is concerned, this is rather a interval in the compunctional and penitential character of Lent. The singing of the Akathist is not a part of the particular devotional atmosphere of Lent. It is rather related to the feast of the Annunciation, which always falls in the midst of Lent. Let us explain it having made an observation first: in the present day we celebrate Akathistos every Friday evening together with the service of Compline. Originally though, the Church sung the Akathistos in the Orthros of every Saturday of Lent. Thus the real question is why the Church established this practice to celebrate Akathistos every Saturday morning? The answer is the following: The period of Lent has a basic penitential and mournful character. Annunciation, though, is a great feast with a profoundly joyful character, and according to the Orthodox Liturgical Tradition, it should have its own pre-festal and post-festal joyful period. However, the establishment of a joyful pre-festal and post-festal period for the feast of the Annunciation in the midst of Lent, would cause a certain disorder in the constant flow of the penitential attitude through the weeks of Lent. Nonetheless, it would neither be fair, nor pastorally good to leave the feast of the Annunciation without a pre-festal period of preparation and a post-festal period of celebration. How then could a pre and post festal period be established without damaging the penitential character of Lent? The solution was found in relationship to the fact that Saturdays and Sundays were already excluded from the penitential Lenten routine. Thus the Church used the celebration of the Saturday Orthros of Lent, in order to remind the faithful of the upcoming or just passed joyful feast of the Annunciation. The Scriptural Readings of Great Lent. Then, after the explanation of the liturgical character of the first two elements, let us turn our attention to those liturgical elements which have a purely Lenten character. The backbone of the organization of the 6 weeks of Great Lent is the system of readings and celebrations of the Saturdays and Sundays of Great Lent. The Gospel readings of the Saturdays and Sundays of Great Lent are taken from the Gospel of Saint Mark with one exception: the 1st Sunday of Lent, when the Gospel is taken from the Gospel according to Saint John. The Epistle readings are from Hebrews. Now, based on the readings, the Sundays of Lent are dedicated to a variety of themes, with which the spiritual stream of Lent flows naturally into the climate of Holy Week. Thus, according to the Gospel of the 1st Sunday, Philip calls Nathaniel to get to know Jesus personally. He calls him with the words “come and see”. The words of Philip are obviously an allusion to the visual character of Holy Icons. The 2nd Sunday is dedicated to the double healing of the paralytic, through the forgiveness of his sins followed by the restoration of his physical health. The relationship between this Gospel passage and the penitential character of Lent is obvious! The 3rd Sunday is dedicated to the self-denial, self-sacrifice and Cross, not of Christ, but of every faithful person who wants to follow Christ. The 4th Sunday’s gospel is the miracle of a healing of a demon-possessed young man. When the disciples asked Christ why they were not able to heal the boy, Christ in reply emphasizes the instrumental importance of Prayer and Fasting to the effect of getting rid of the evil powers. There is nothing more relevant to the struggle of Fasting and the insistence on Prayer that constitute the main aspects of Lenten spirituality. Finally the 4th and the 5th Sundays’ readings contain preannouncements of Christ’s voluntary death on the cross, whereas the 5th also contains the lesson of humility and self-offering as a response to the selfish and naive worldly query of the disciples about “who is greater” among them. Let us add here that all these Sunday Gospel themes are the coninuation of the fundamental ideas proclaimed through the Gospel readings of the first 4 Sundays of the Triodion, the most significant among them being that of limitless love towards neighbors, which is expressed as an unconditional gift of forgiveness. Sunday celebrations during Great Lent. However, as far as the Sundays of Lent are concerned, let us note here that in addition to the original connections of every Sunday to a Scriptural theme, later events in the history of the Church or further pastoral needs, gave to the Church the opportunity to connect every Sunday of Lent with some additional themes: the celebration of Orthodoxy on the 1st Sunday, the commemoration of Saint Gregory Palamas on the 2nd, the Veneration of the Cross on the 3rd, the veneration of Saint John the author of the Ladder on the 4th, and Saint Mary of Egypt on the 5th. With these celebrations, the festal themes of every Sunday of Lent in their totality form an exposition of the aspects of theory and practice in the life of the Church as they celebrate and expose basic doctrinal and ascetical principles. However, let us note here that in the Sundays of Lent the doctrinal truths and the ascetical methods of the Church are not presented as theoretical and abstract intellectual concepts. Dogma is presented as history, as a dynamic achievement of human beings struggling to explore the Truth. It is not an abstract formulation of dogma that is presented, but a historical event, the triumph of the veneration of the holy icons, or a person, a theologian, like Saint Gregory Palamas, a Saint who became a theologian by his personal dedication to prayer and self-purification. The ascetic life and the practice of holiness are also presented as living experiences of real human persons. It is not the abstract notion of holiness that is presented to the faithful, but the persons of Saint John the Sinaite and Saint Mary of Egypt. And, finally, in the midst of Lent, both dogma and ethics are recapitulated in the veneration of the Cross of Christ! As far as the hymnology and the services of the weekdays of Lent are concerned, things are more elaborated and the enrichment more intense. We could at least mention the penitential orientation of the hymns of this period. I think that it is here that the particular character of Lent is most obvious. The best example of this case could be the canon of Saint Andrew of Crete, inserted into the regular service of Great Compline of the first 4 days of the 1st week of Lent, as well as into the Orthros (Matins) of the Thursday of the 5th week. The literal, spiritual, and theological content of the texts of hymns and prayers of Lent constitute an excellent school of self-knowledge. The highest conclusions of the psychology of depth and the best methods of psychotherapy look like lessons of elementary education in front of the healing power of the hymns, prayers and services of Great Lent, if they are used appropriately. In the hymns, prayers and patristic readings of this period all the hidden folds of the human soul are exposed to light. The hymns of the Triodion teach us first about the consequences of sin. They describe the human soul as full of passions, sinful tendencies, spiritual weaknesses, psychological inclinations that go against the will of God almost naturally. In the Ascetic Literature, passions are sinful habits that serve, slavishly and almost naturally, the effective power of death and separation from God. However, these hymns do not describe only the negative aspect of the human fall. They inspire also optimism and cheerfulness in the hope of the open possibility of return to God, the possibility of salvation through repentance. They tell us that if we want, we can fight against the passions and defeat them. What is more important though is that this hymnology offers the healing experience of being a part of a communion of persons with bonds of authentic love: the Church. Through the Church as a communion of life, it is obviously manifested that spiritual weaknesses and sinfulness fall, and spiritual achievements and holiness are shown to have a character of commonality and are equally shared experientially by all. Nobody is alone or rejected in his/her failure in the Church, and the Saints do not form an elite group of people separated from the rest of the members of the Church’s body: the personal spiritual achievements of the Saints can be a benefit for and a gift to all the members of the Church. Saints and sinners are together members of the one holy body of Christ. You learn then that you fail and fall, but not alone, because you fail and fall as a member of the Church, which means, that in spite of your personal sinfulness you are a part of the same body with the Saints, the angels, the Theotokos and finally Christ Himself. And Christ and the Saints take on their shoulders your weakness, making your falls their loving care, and allowing you to take part in their purity and holiness. Thus, even as a sinner, you are sanctified by grace, as long as you repent and fight and keep yourself in the Church. 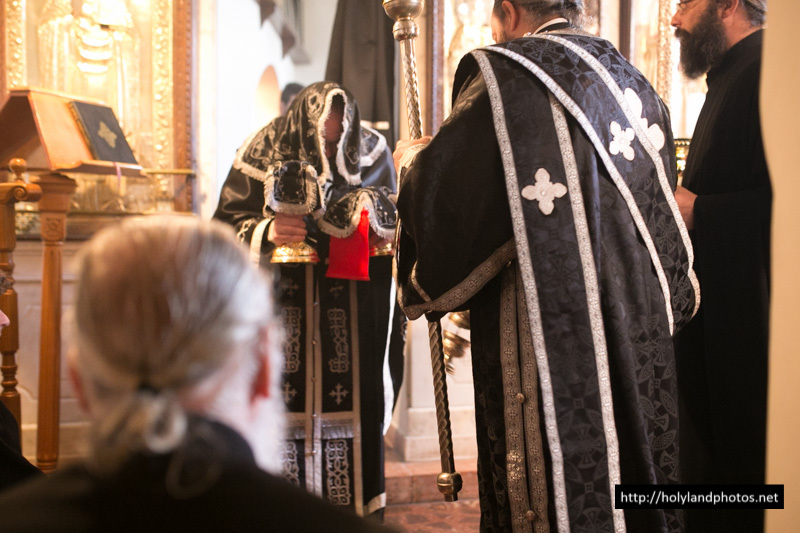 In harmony with the just mentioned joyful and hopeful penitential character of the Lenten services and hymns is the most imposing Lenten liturgy: the liturgy of the Presanctified Gifts—a unique expression of the pastoral wisdom of the Byzantine liturgical tradition, the pearl of Lenten devotion. In the Byzantine times, the liturgy of the Presanctified was celebrated daily. In the spiritual struggle of Great Lent, the faithful needed more than ever the strengthening partaking of Holy Communion. Thus, by the celebration of the Presanctified the opportunity of receiving Holy Communion every day was given to the faithful. In order to have the consecration of the Gifts, you need to have this important part of the Eucharistic Liturgy that is called “Holy Anaphora”. The Holy Anaphora is the prayer with which the bread and the wine become the body and the blood of Christ in the Liturgy. If we compare the structures of a complete Eucharist with the service of the Presanctified we will notice that it is exactly the Anaphora which is missing. Why? The Anaphora is not only the consecration of the Gifts through the epiclesis, but before this it is the act of offering the Holy Gifts to God joyfully, praising Him triumphantly for the gift of our salvation. The Anaphora, the act of offering the gifts to God, always had the cheerful and triumphant character of boldness and confidence before God. However, boldness and triumph do not fit with the penitential character of Lent. Thus, the wisdom of the holy fathers formulated the service of the Presanctified Gifts as a participation in the Eucharist but without the Anaphora, a Eucharist without thanksgiving and jubilation, a Eucharist that is rather a cry for help than a joyful acclamation: “O God set free our senses from deadly passions, let our eyes abstain from evil sights, our hearing from idle talk … purify our lips as they sing your praises, let our hands produce only works that are pleasing to You…” (1st Prayer of the faithful of the Liturgy of the Presanctified). And this cry finds response and comfort in the self-giving love and grace of God. Holy Communion is finally given after the penitential and purifying course of prayers and hymns of the Liturgy of the Presanctified Gifts. I think this small sentence of Saint Ignatius says everything! By Rev. 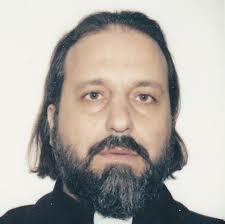 Pavlos Koumarianos, Ph.D.